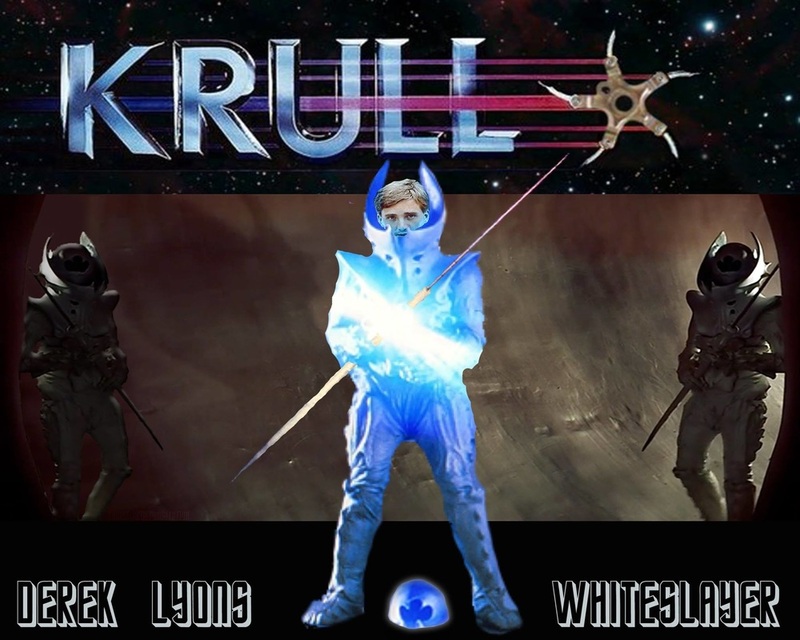 In 1983 I was chosen for the part of a White Slayer in the now Cult movie ‘KRULL’. It was made by the English Director Peter Yates who also made one of my favourite movies ‘ BULLITT ‘, starring Steve McQueen! I worked on the movie for a month at Pinewood Studios on the Bond Stage and also on one of the Stages adjacent in it. I had several scenes in the Movie , the climax was with a real Tiger whom they had not fed for a few days. In that scene the Tiger did not go for the life size model White Slayer , but instead chose to run for me, I at the time was 15 to 20 Ft on the above the stage with a sheet of safety glass and no exit between me and Mr Tiger! My costume was over a hundred pounds in weight and I could not move very well in it. It was a very hot summer as well. The tiger ran and jumped up to me with only the glass as my protection , my natural instinct was to run ,but I froze on the spot while the Tiger’s Paw managed to push the glass and put it’s Claws around the side of the Glass ! I was almost crapping myself at that time. This went on for many, many more takes. I was so pleased that it was over and I still was in one piece LOL !!! I was a Palace Guard in the Wedding scene then later looking after the Kings Horse. During rehearsals the Horse stepped on my foot! I was in so much pain!! LOL! Then a dead Guard too!